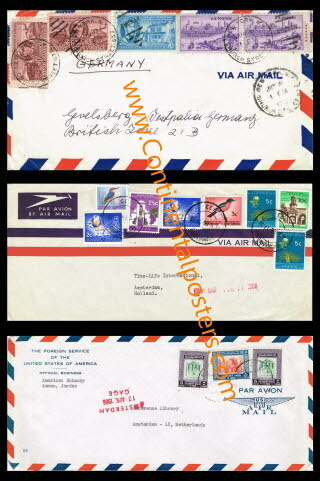 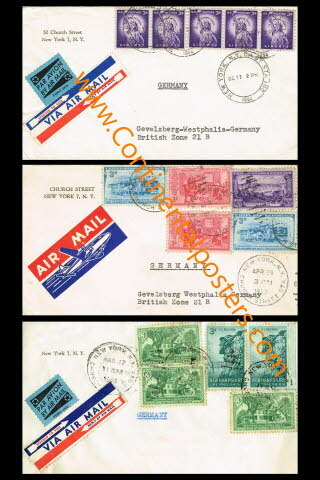 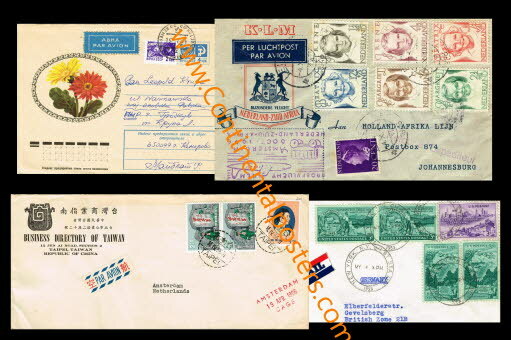 Messages from the Past, Air mail from the States or Holland, Poster of old Messages! 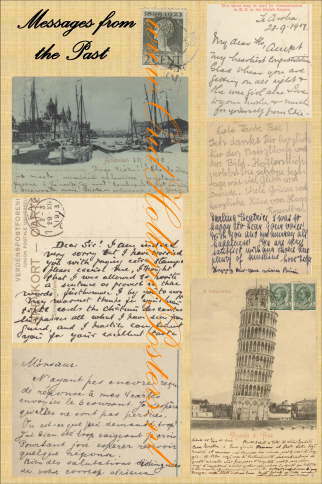 Messages from the past, with Italian, English, French en German messages. 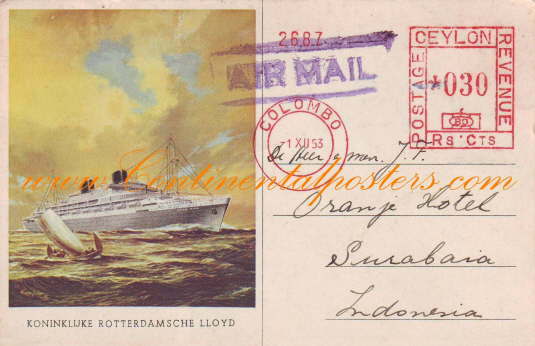 Postcard Ceylon to Surabaya / Willem Ruys m.s.